There are two issues the Governor raises and that is confidentiality and my own interpretation of the letter is that the file he sent specifically to me contains confidential information. I am I correct, Governor? Katuntu: I have since then not shared it with anyone. It's only me who has had opportunity to go through it. Colleagues, I am going to set up a 3-man committee to study this file. I think that will protect the interests that the Governor is raising... . I see all the Board members at the time of the closure of defunct banks. However, when I look at Cooperative Bank, we had invited all the board members. I don't know whether they are here. Mutebile: Most board members are out of town-including abroad. Mr Kalema, who is here has fallen sick today. Anita Among (Bukedea District, Independent): Should we expect to get supervision reports prior to the closure of banks and the deposit and loan schedules. Katuntu: We are going query by query. Any document which we will require to answer a query, we will get it. I have two matrixes from the Bank and I need clarification from the Governor. There is one which you brought last time and one which you submitted with these files--somehow they differ, they are not the same. Mutebile: I am pleased to confirm that the earlier matrix has been updated and the current matrix is the one that is on this file. Katuntu: On page 5 of the audit report, availability of records on Teefe Bank. However, when you look at the matrix, there is a query: limitation on scope on Teefe Trust Bank due to failure to provide information. Michael Tusiime [Mbarara Municipality MP, NRM]: I also got a challenge during the review of the matrix vis a vis the Auditor General's report. The matrix attempts to address issues yet the AG's report has issues that were not provided for here. The AG's report goes further than what the matrix provides. There were queries that were dropped in preparation of this matrix. Katuntu: BoU cannot drop any query. The correct thing is that there were queries that were not answered. We would like you Governor to read the query and the response. Mutebile: Mr chairman, let me make some remarks and I leave it to the Director of Banks Supervision to handle. 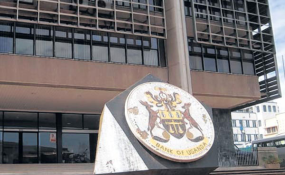 In conducting the supervisory role of the central bank, the primary objective of BoU is to ensure the stability and soundness of the banking system and protection of depositors' interests. While performing this role, there is a possibility that a financial institution may run into problems. In such circumstances, the FIA Act prescribes the type of action that the central bank should take in the different circumstances. They include: issuance of directives on corrective actions that the financial institutions must comply with, placing the institution under statutory management or receivership and/or liquidation depending on the nature of the problem. The 7 defunct banks in the Auditor General's report were put under resolution largely due to insolvency problems. In conducting bank resolution, the central bank is mindful of the need for depositors to access their funds in the shortest time possible, keeping the cost of resolution low but also most importantly the need to protect the remaining part of the banking industry from any contagion effect or systemic shocks... The decisions and actions of selling the assets of the banks placed under resolution were based on the objectives of protecting the depositor's funds... . Indeed, in the ranking of claims in an insolvency of a financial institution, the Deposit Protection Fund comes first, next is the liquidator's expenses, then the wages of employees of the institution... . It is only if and only if, there are residual assets that the shareholders get anything since they rank at the very bottom of the distribution order. We also continue to pursue the pending court cases that are currently affecting the resolution of some of the closed banks. Our appeal to the committee is that as you engage us, be mindful of the ongoing court cases which have implications on how much information we can divulge on the closed banks. Tumubweine (Executive Director for banks supervision, BoU]: On page 5 of the AG's report, on January 30th and April 10th, documentation was asked in relation to all closed banks-specifically the inventory report, loan schedules, customer deposit schedules, statement of affairs and any reports supporting assets and liabilities relating to customer information. However, I was not availed with sufficient information relating to Teefe Bank to enable me fulfil the specific audit objectives. BoU explained that it will continue to search in the archives to get this information. Katuntu: This confirms that the documents were not availed. What is your response? Tumubweine: The inventory report was not provided and even in our search, we have been unable to find the inventory report. In regards to the loan and customer deposit schedules, you advised on how it shall be treated. Katuntu: When you take over an institution, you take stock of its assets and liabilities which is an inventory. How will this process we are going through be useful without us knowing what you took over? We are looking at how the bank managed these assets and liabilities. Tumubweine: I take note of your concern. We have a member of staff who was with the bank at the time. Perhaps he should help us understand why at that time, no inventory report was taken. Joseph Sewungu (Kalungu West, DP): With your powers, you have to compel BoU to bring these documents. They have them. Moses Kasibante (Lubaga North MP): We are talking about banks that were closed before they failed to adhere to the normal standards. When BoU explained to the AG at the time of this report, it promised to search in the archives. Now it is confession that this bank has no reason why it closed Teefe. Was the inventory report there? Among: What do you use to make supervision reports? Tumubweine: Each of the banks is mandated to use an external auditor and it's those external audit reports that are shared with us and we verify. Katuntu: We want the inventory report, loan schedules, and customer deposit schedules. Among: Do you use the inventory report to make some of these accounts? Tumubweine: The inventory is used to produce a statement of affairs. And a statement of affairs was only a requirement of the 2004 FIA and Teefe Bank was closed under the 1969 Banking Act which does not require [an inventory]. Katuntu: We run a risk of interrogating an issue where we have no basis. Tumubweine: With regards to a manual, BoU does not have a manual on how it dissolves banks. Among: How do you close these banks? Tumubweine: The 1969 Banking Act did not provide specifics on how banks should be dissolved. However, the FIA Act provides details on what BoU can and can't do with regards to dissolution. Katuntu: We are at a point where we require documents to proceed. There is no way this process will be of any use without the documents. Let me ask a specific question; was there an inventory report? Louis Kasekende: (Deputy Governor): At the time of closure of Teefe, the law was the 1969 Banking Act and the nature of the documents required at that time did not include an inventory. So we do not have an inventory. We have provided information relating to the financial institution of Teefe; the assets and liabilities.